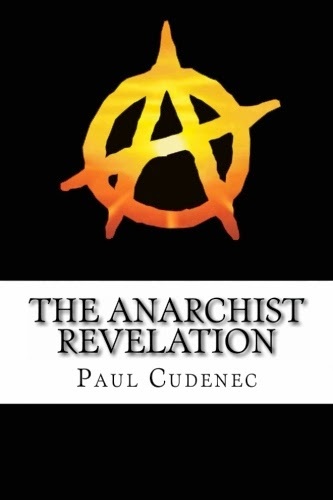 Paul Cudenec will be giving two talks in the UK in the next few weeks, based around the themes of his book The Anarchist Revelation, published by Winter Oak Press. The first is at The Cowley Club at 12 London Road, Brighton, East Sussex, on the evening of Wednesday September 25. The event, oganised by Cowley Books, is open to all and free of charge and begins at 7pm. The Cowley Club is a libertarian social centre, which hosts a range of cultural and political activities and has its own bookshop, library and bar. The second talk will be on Saturday October 19 at the 2013 Anarchist Bookfair at Queen Mary, University of London, Mile End Road, London, E1 4NS. Paul’s talk will be on the third floor, room 3.20, from 5pm to 6pm. The programme says he will explain “how only anarchy can save humankind and the planet – and why today’s anarchists must urgently reconnect with the primal force of our root ideology, a free and profound way of thinking that stands in direct opposition to the blinkered and soul-stifling materialism of contemporary society”. It will be followed by a general discussion. 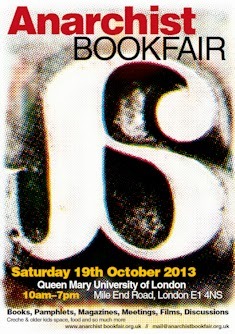 The bookfair itself, a must for anyone in the UK interested in anarchism, runs from 10am to 7pm with the usual packed programme of diverse meetings and rooms full of stalls. Previous PostDaring journey through the history of ideasNext PostZerzan: "The least pessimistic book I can recall reading"